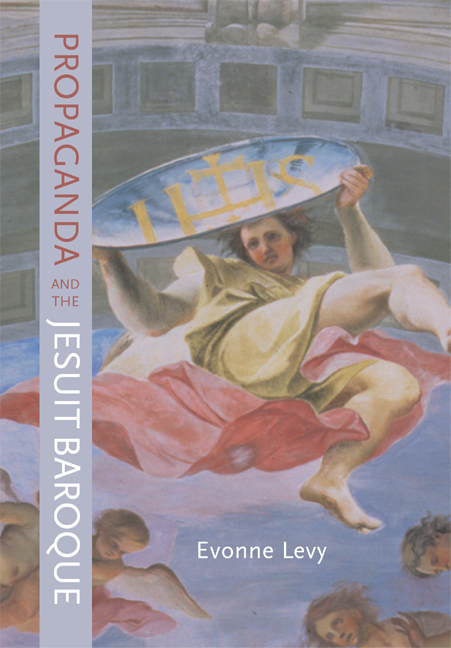 In this provocative revisionist work, Evonne Levy brings fresh theoretical perspectives to the study of the "propagandistic" art and architecture of the Jesuit order as exemplified by its late Baroque Roman church interiors. The first extensive analysis of the aims, mechanisms, and effects of Jesuit art and architecture, this original and sophisticated study also evaluates how the term "propaganda" functions in art history, distinguishes it from rhetoric, and proposes a precise use of the term for the visual arts for the first time. Levy begins by looking at Nazi architecture as a gateway to the emotional and ethical issues raised by the term "propaganda." Jesuit art once stirred similar passions, as she shows in a discussion of the controversial nineteenth-century rubric the "Jesuit Style." She then considers three central aspects of Jesuit art as essential components of propaganda: authorship, message, and diffusion. Levy tests her theoretical formulations against a broad range of documents and works of art, including the Chapel of St. Ignatius and other major works in Rome by Andrea Pozzo as well as chapels in Central Europe and Poland. Innovative in bringing a broad range of social and critical theory to bear on Baroque art and architecture in Europe and beyond, Levy’s work highlights the subject-forming capacity of early modern Catholic art and architecture while establishing "propaganda" as a productive term for art history. Evonne Levy is Associate Professor of Art History at the University of Toronto.